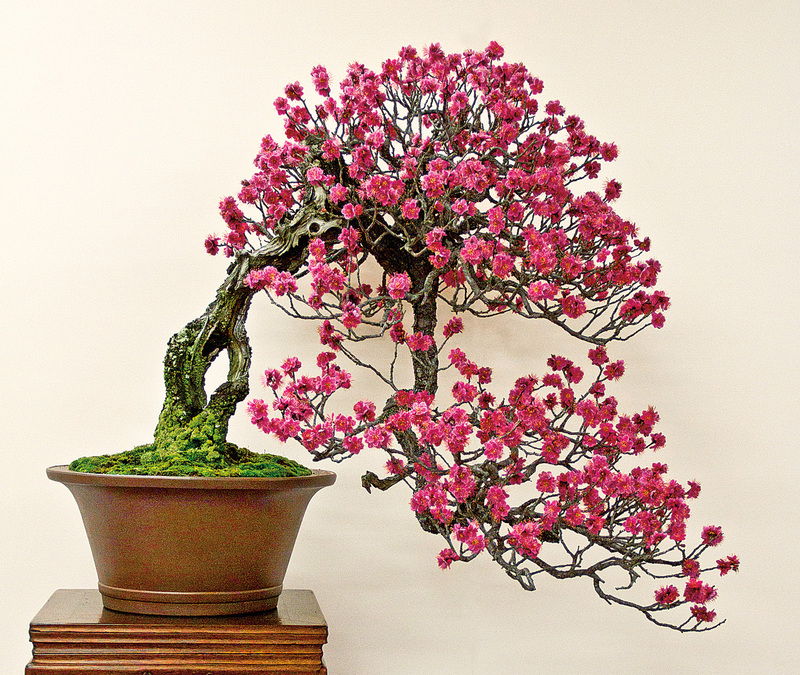 Although bonsai is a visual art, there is more to this art than meets the eye. Of course the beauty of bonsai is of paramount importance and is commonly determined by the trunk, branches, silhouette, container, season, antiquity of youthfulness and the total aesthetic impact. However, it is important to consider other factors, which are not immediately visible to those with limited experience and exposure to the art. Most bonsai hobbyists, and professionals as well, do not have the background to fully understand the hidden beauty that lies within the bonsai and only consider what their eyes first see when viewing a bonsai. 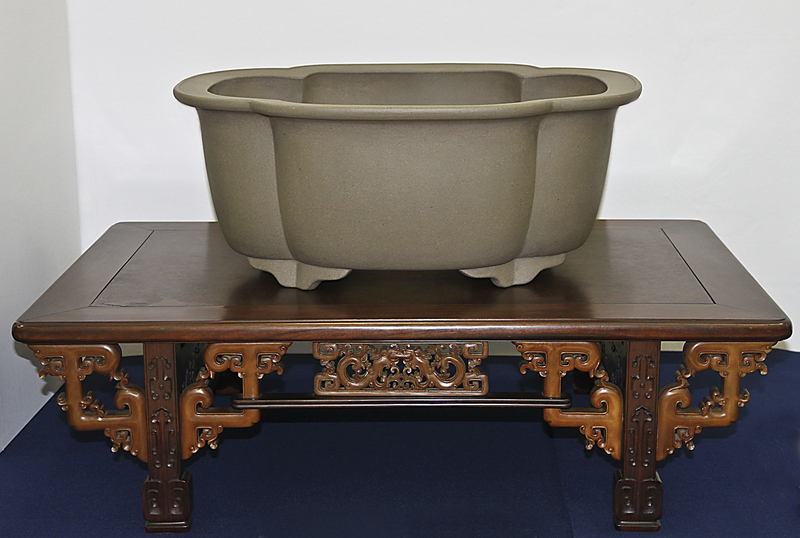 Although this antique Chinese container is not planted with a bonsai, it was displayed in the 2013 Taikan ten Bonsai Exhibition on an excellent and valuable display table. 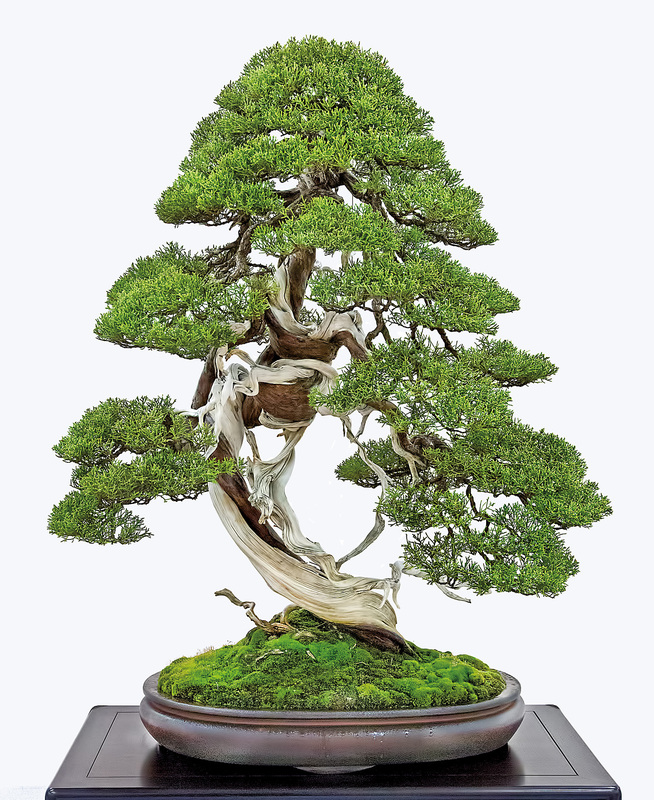 It is important to have respect for the tree, container and history of the bonsai. Respect is not usually considered when first viewing a bonsai, but comes later on when the tree is really studied and contemplated. This adds immensely to the appreciation of bonsai art. 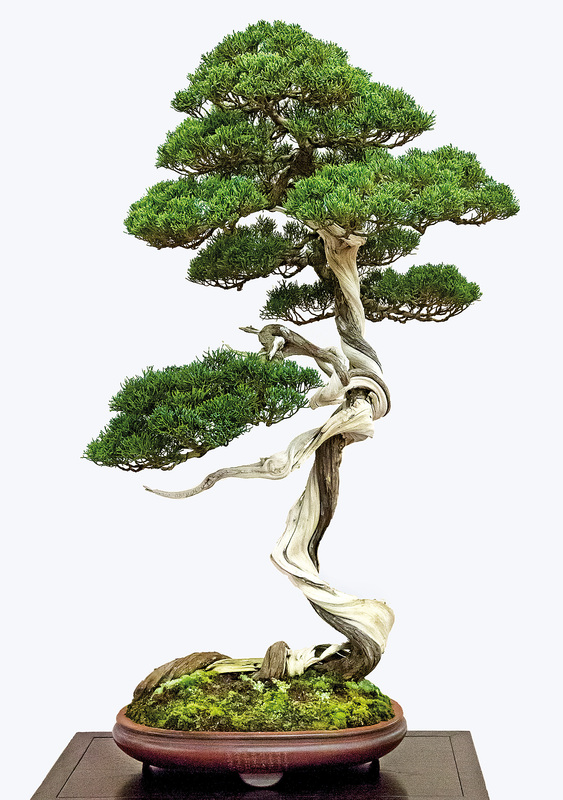 In Japan the history of the bonsai is important and is deeply respected. Aspects of the history of a bonsai include: the origin of the tree, who grew it, how it was grown, where it was grown, who designed it, who matched the container, who displayed the tree and current and past owners. These factors are not quickly evident when viewing a bonsai to those with a limited exposure and knowledge. Unfortunately, like training a bonsai, time is also significant to fully appreciate and respect a tree. This Japanese zelkova bonsai is famous because of the unusual shape and the prior owner, Prime Minister Shigeru Yoshida. It was first dug and drastically pruned in 1937 and was displayed in the 1955 30th Kokufu Bonsai Exhibition as well as the 1968 42nd Kokufu Bonsai Exhibition. 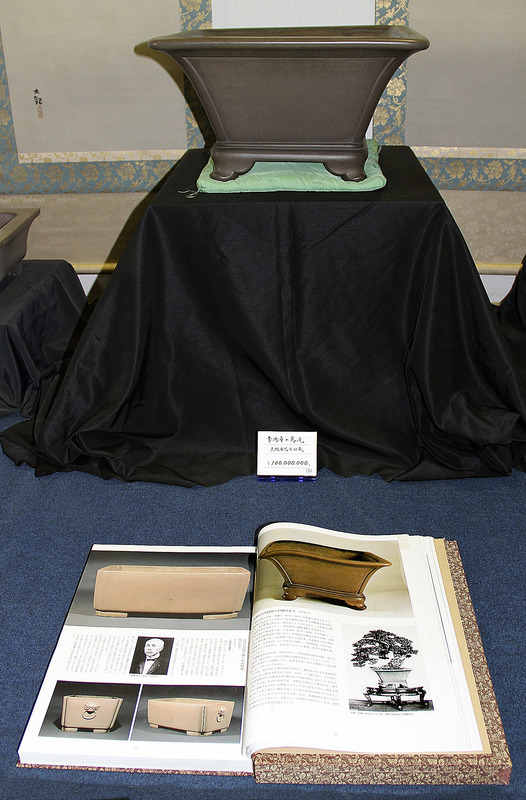 Prime Minister Yoshida was a bonsai lover who appreciated fine bonsai. His Japanese zelkova has been under the care the proprietors of Kyuka-en Bonsai Garden in Omiya Bonsai Village Japan, Kyuzo Murata, Isamu Murata and Yukio Murata. The late Kyuzo Murata characterized this bonsai as follows: Despite the fact that it has a very unusual style as a Japanese zelkova which normally conforms to natural styles, it is seen as a large natural tree and deeply moves people. It is a large tree which seems even more natural than a natural tree. This is something like the male kabuki actors who portray women who seem to be even more feminine than the real women. 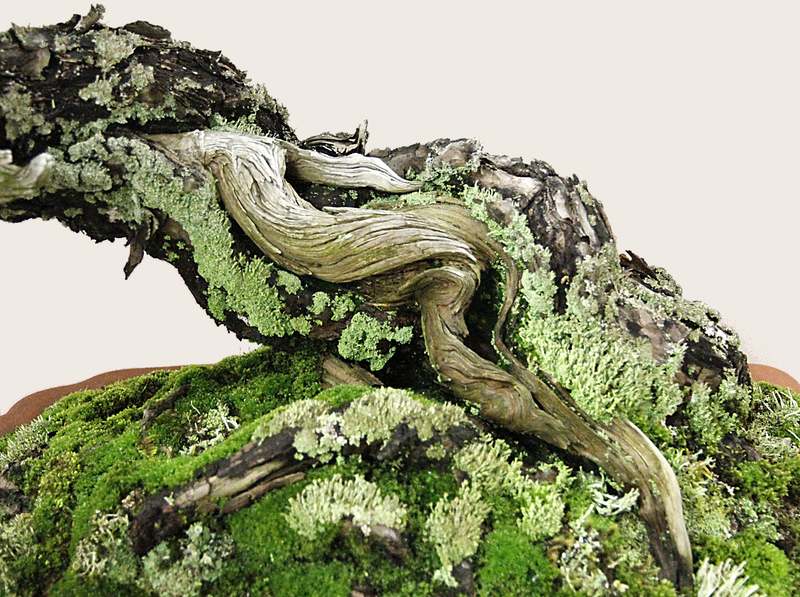 It is preeminent masterpiece which has both the power of nature as well as the artistry of bonsai creation. Surely the reason that Prime Minister Yoshida particularly like it and made much of it was probably because he saw this. 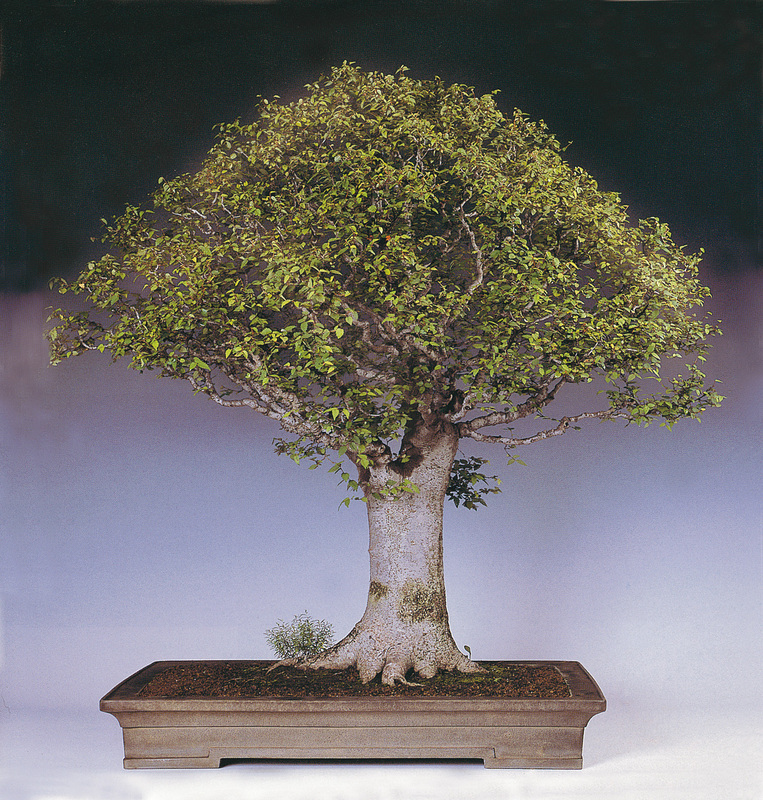 Additional information and photos of this bonsai can be located in the 2007/NO. 4 issue of International BONSAI. Photos courtesy of Kyuka-en Bonsai Garden. The more bonsai, exhibitions and gardens one sees helps to understand the all embracing true beauty and value of a tree. Additionally, meeting people behind the scene and actually working and growing bonsai are also important key elements to bonsai appreciation. This Sargent juniper was collected from a high rocky area and was not grafted. It has been displayed in a Kokufu Bonsai Exhibition before World War II as well as the 2011 85th Kokufu Bonsai Exhibition. It is well matched with the antique Chinese container. 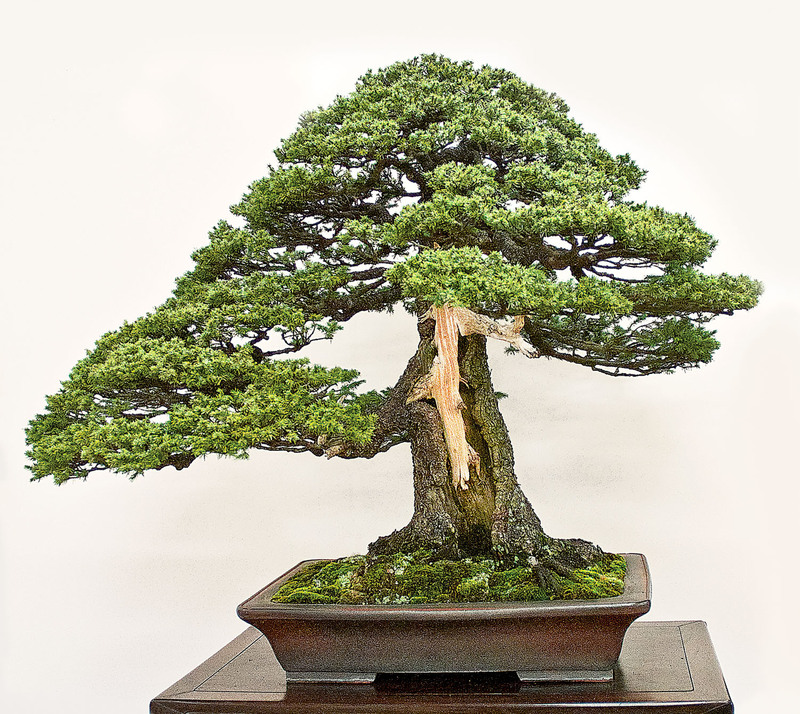 I have encountered numerous hobbyists, and professionals as well, who quickly determine that they do not like a specific bonsai because of some defect in their determination beauty. But, when I thoroughly explain the background of the tree, container and suggest that they respect the past and also importantly to consider the future development, they suddenly see the light and have a different opinion of the tree. Yes, there are those who completely disregard the past and only “see” what they want. But that is fine, everyone has different levels of bonsai appreciation, which is developed over time and depends on their background, personality, taste, environment and how serious they are. Little remains of this 1,000 year old Japanese flowering cherry tree in a Shizuoka Prefecture park. A sign near the ancient tree shows a photo of it as it appeared in 1908. 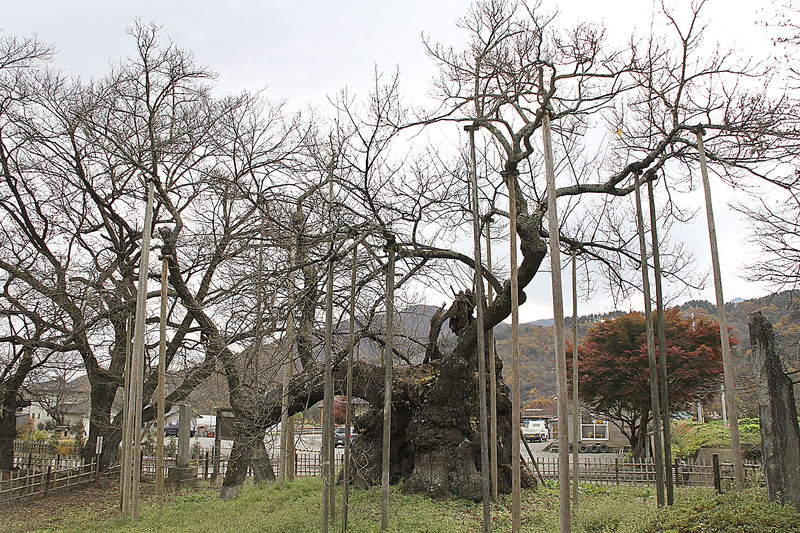 Old trees, especially with character are deeply revered in Japan. 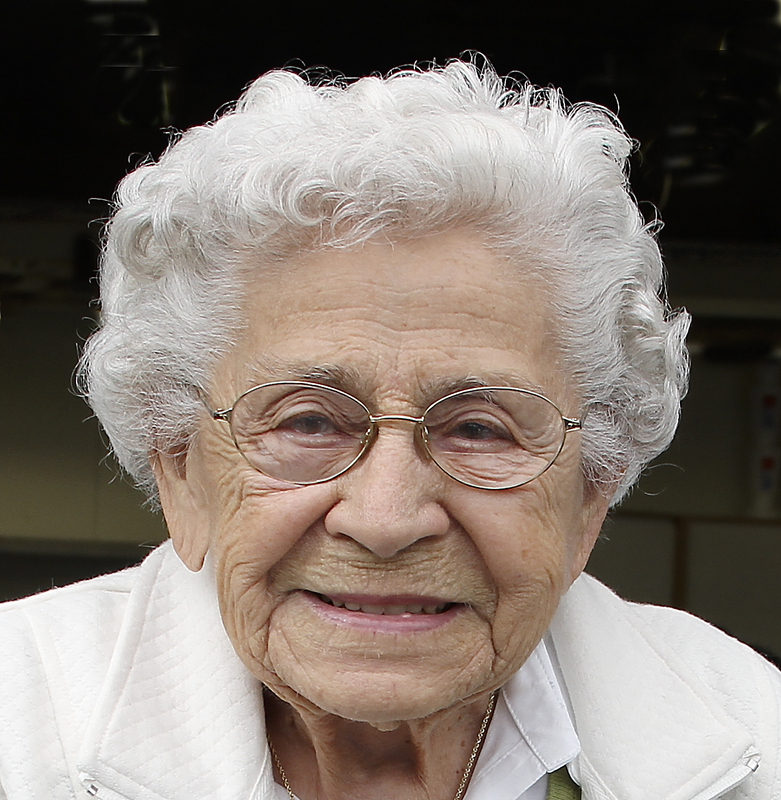 In Japan, as in many cultures, age is highly honored. People, buildings, containers, objects, as well as trees, and stones are respected in Japan. Although most bonsai present an appearance of agedness or antiquity, some present a youthful appearance. In the Japanese bonsai community the word “mochikomi” is the customary term to refer to the years of love and training a bonsai in a container. 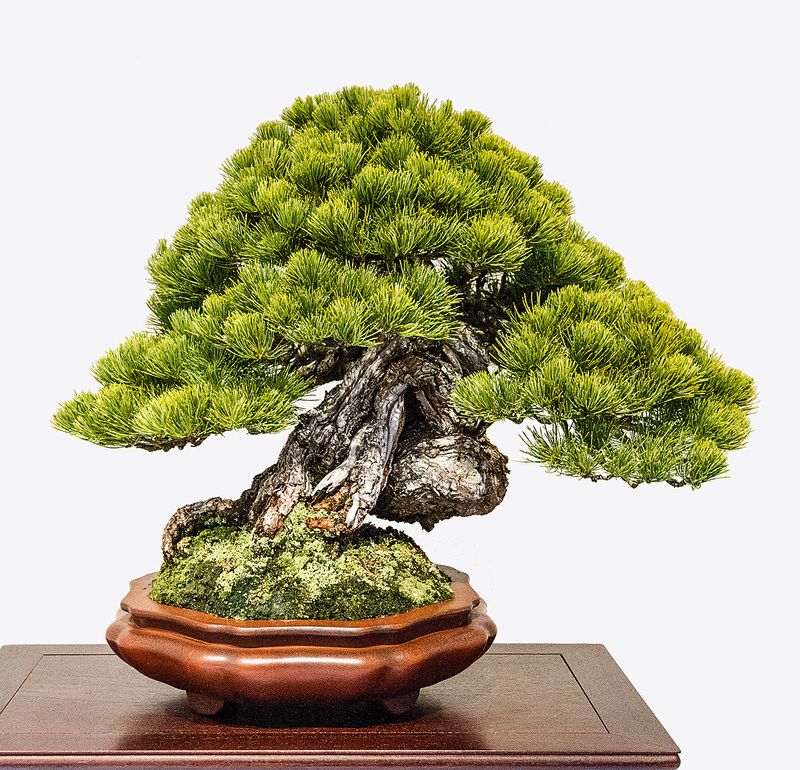 An aged bonsai usually presents an elegant feeling and expresses a different type of beauty than a bonsai which has not been trained and containerized as long. From my understanding of the term the actual age is not as important as the establishment and careful loving care the bonsai has received. This famous antique Chinese container has a long and interesting history. Here it is on sale for US $1,000,000. It was sold for a bit under that amount and is now back in China. Damaged antique Chinese containers are respected and not discarded. This container has the missing sections remade with gold. 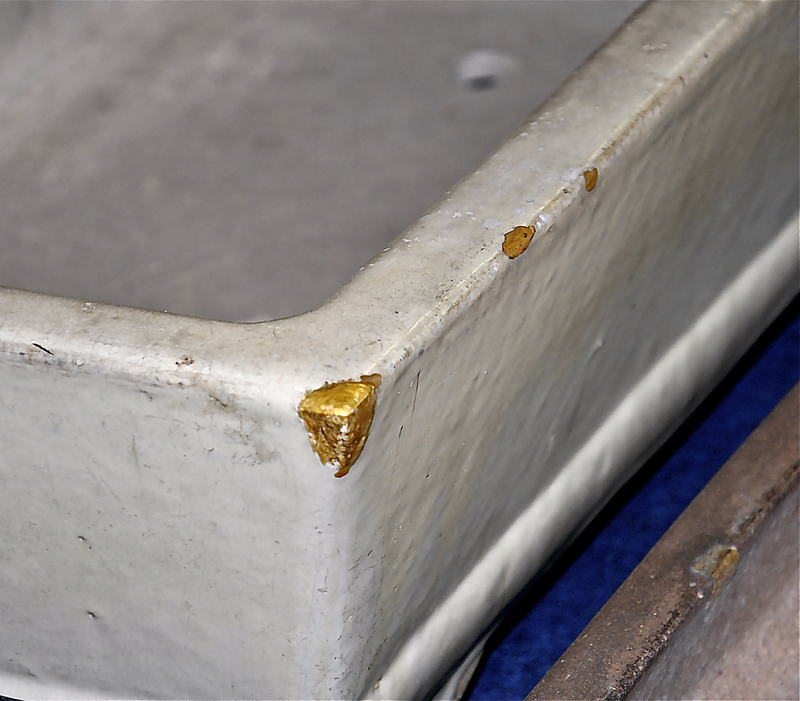 Although greatly damaged, this antique Chinese container has been repaired with gold so it can be matched to an equally old masterpiece bonsai. For example, there are numerous large recently collected bonsai, which are quite aged, mostly with large dead wood often displayed. However, in spite of their great age lack mochikomi which the bonsai does not display. On the other hand, one can have a small tree, started and trained from seed or cutting for 20 years and it might exhibit mochikomi because of how it has been established and carefully tended for in a container. The bark will begin to show the aged appearance. A complete mossing of the soil surface also indicates the aged establishment, and recently applied moss looks fresh if not planted correctly. This beautiful Sargent juniper masterpiece bonsai has been well matched with an antique Chinese container. However the bonsai does not show an aged appearance or dignity. It has not been container grown for many years. This famous Ezo spruce bonsai has been cultivated in a container for many decades and displays age. It is growing in an antique Chinese container. 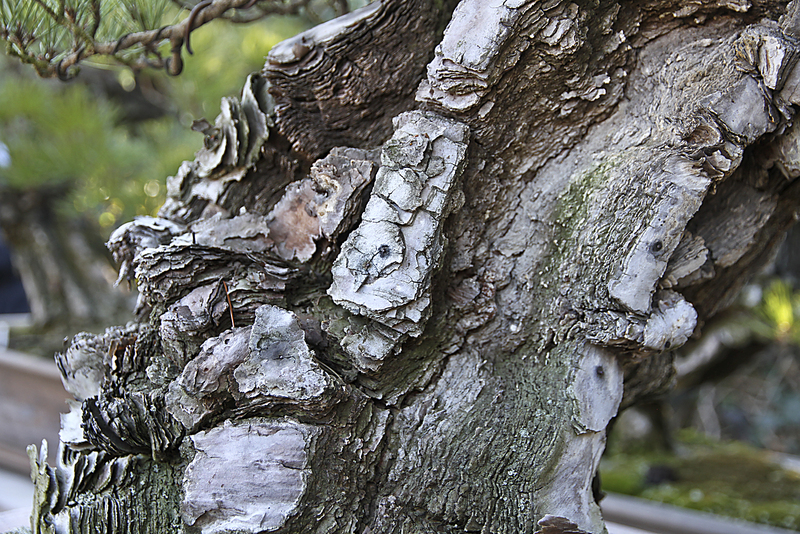 The old flaky bark on this bonsai is valued as part of the aged beauty. Note the small nails holding bark to the trunk. It is important to remember that bonsai are living objects and considerations must be made to maintain their health and beauty. 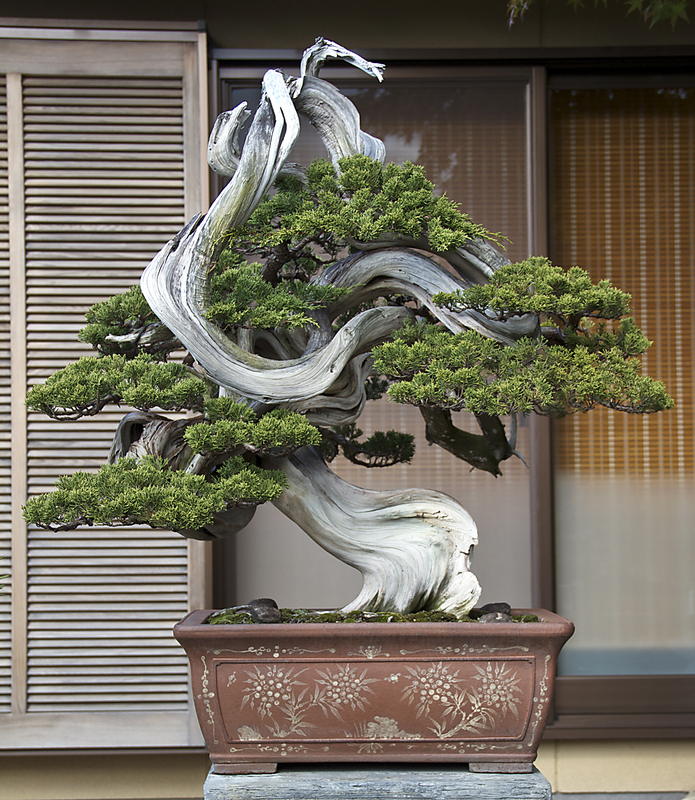 There is more to bonsai appreciation than simply, pruning, wiring and shaping a tree. And this level of appreciation varies greatly from person to person, depending on their background, involvement in the art and personality. Very good and very important article, and I hope many will read and appreciate this aesthetic and cultural part of bonsai. 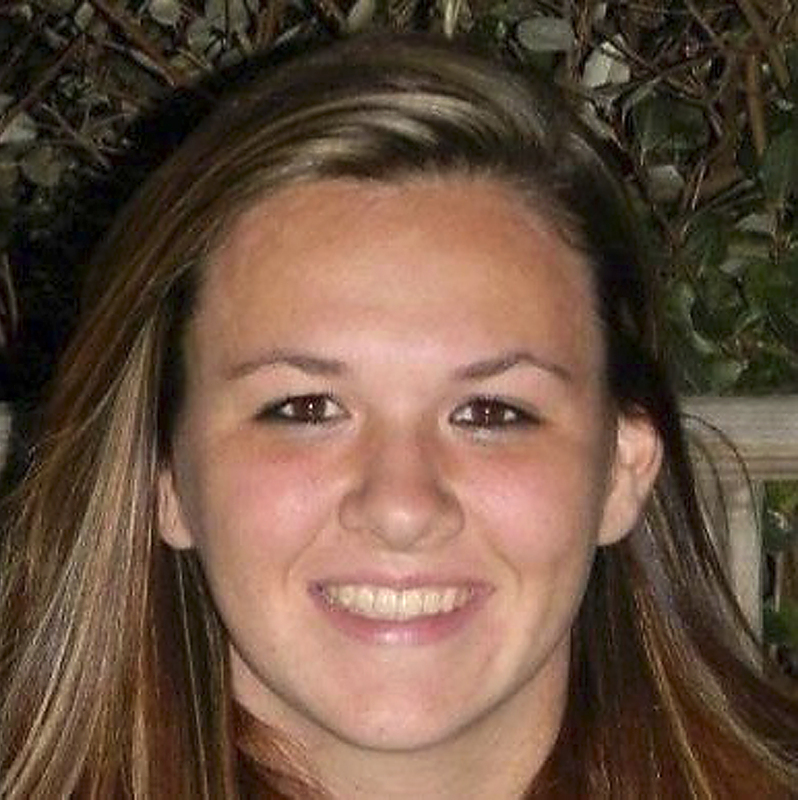 Me and my team loves your blog, the information you share its pretty interesting for us. Thanks for share.